Independence Plaza (also known as the Plaza de la Independencia) is one of the most popular and busiest squares in Madrid and one of the most important symbols of the city. Opened in 1778 during the reign of King Carlos III, the plaza is found at the intersection of several major streets: Calle de Alcala, Calle de Alfonso XII, Calle de Serrano, Calle de Salustiano Olozaga and Paseo de Mexico. Standing at the center of the square is the Puerta de Alcala, a neo-Classical monument built in the 18th century. The huge monument consisting of several arches replaced a smaller city gate from the 16th century and functioned as the main entrance to the city. Designed by architect Francesco Sabatini, the current shape of the square dated back to 1869 and it is surrounded by buildings from the late 19th and early 20th centuries. 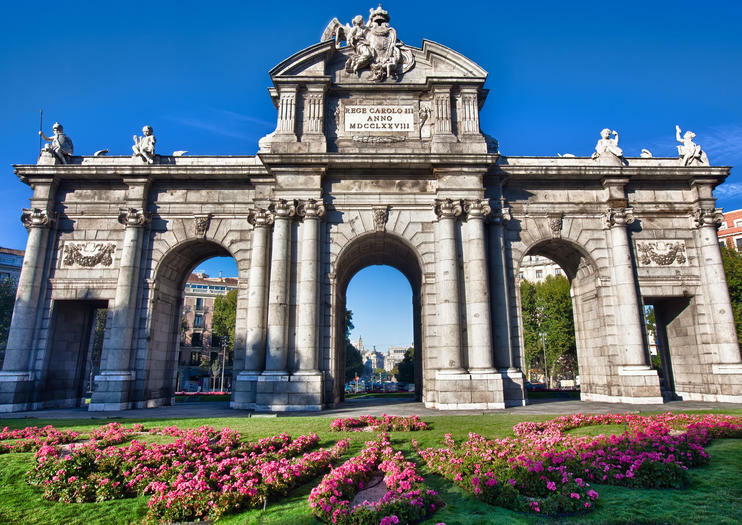 In 2001, several gardens were added to the square and lights were added to the Puerta de Alcala, all in honor of Madrid being named the World Book Capital. In 2010, nearly 100,000 people packed the square for the MTV Europe Music Awards.